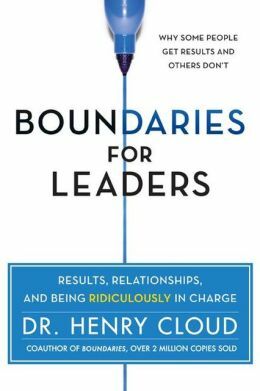 According to clinical psychologist and leadership consultant Henry Cloud, boundaries are made up of two essential things: what you create and what you allow. A boundary is a property line. It defines where your property line begins and ends. If you think about your home, on your property, you can define what is going to happen there and what is not. The leaders’ boundaries define and shape what is going to be and what isn’t. In Boundaries for Leaders, Dr. Cloud leverages his expertise of human behavior, neuroscience, and business leadership to explain how the best leaders set boundaries within their organizations–with their teams and with themselves–to improve performance and increase employee and customer satisfaction. Boundaries for Leaders is essential reading for executives and aspiring leaders who want to create successful companies with satisfied employees and customers, while becoming more resilient leaders themselves.